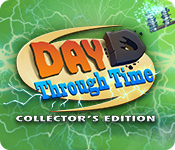 Day D: Through Time Collector's Edition is rated 2.5 out of 5 by 33. Rated 5 out of 5 by flossifer from Love this game I really enjoyed playing this game. I was nearly half way through before I found out that you can turn off the timer, which is nice if you want to do everything on each level. Rated 5 out of 5 by Feckles from Try It For Yourself! At first I thought this was just another Gnome's Garden, but, I love TM games, so I tried it. I was pleasantly surprised. It is more based on strategy than you would expect. If you try to do it all, you will run out of time, so you have to play the levels more than once to figure out what to ignore, what path to take, to get 3 stars. I'm having a blast. Rated 5 out of 5 by JuliaHeide from Really Fun Game! It's a great game! I really liked the graphics. This game had my mind going everywhere at once. I liked that a lot. Rated 5 out of 5 by tchelovek from Excellent time management game! Totally love it! The level of challenge is decent, and, if the game is too hard, you can always make it easier in preferences. The art and sound are nice. Rated 5 out of 5 by acipensera from quite a different game This game main quality : it is an open map, so your results depend on your choices of action & paths ; if you take the longest path & try to build every structure or get every item, you loose. Choose wisely, and try and try again ! Rated 5 out of 5 by twtscat48 from Fun with Day D Through Time!! I enjoyed this game. 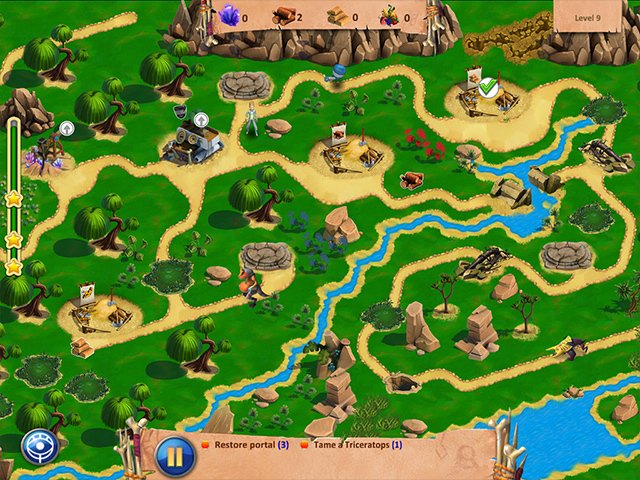 The game play is similar to other time management games, that you collect different objects. 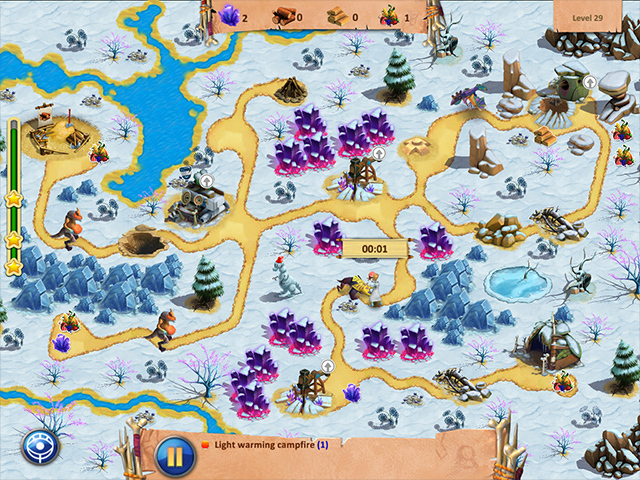 With this game you collect crystals and Lianas goes and collects them along with wood to be able to upgrade the different buildings, and the crystal mine. I think his character is so cute and different from other time management games. I enjoyed being able to turn off the very difficult mode, that allows you to play in relaxed mode so no time limit which I prefer. I didn't play the demo very long and knew it was a purchase for me. Definitely recommend this game. Rated 4 out of 5 by gmrgrl25 from If you like gnomes garden you'll like this game The levels are challenging and there is strategy involved in getting 3 stars which I love. Only two difficulty options, very hard and untimed. You can play untimed on levels you can't finish and continue within the same game. Not a fan of the artwork but that is personal taste. Rated 3 out of 5 by Spookys_Mom from Gnome Gardens Clone... This is like the Gnome Garden Games. I like the Gnome Garden Games and I always play on Casual level. I play the level until I get three stars. 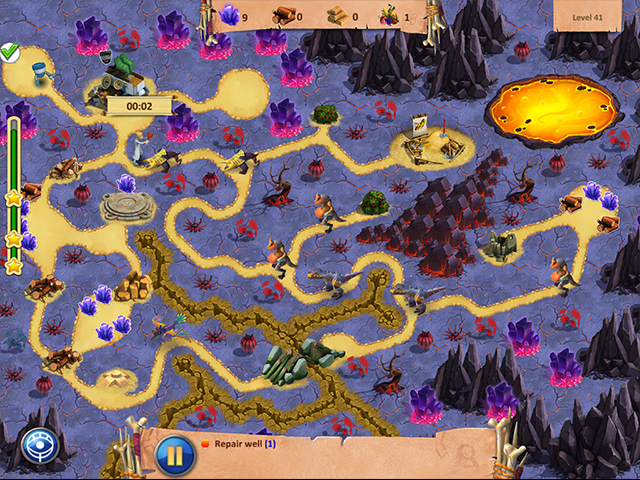 That is the fun of the game to me, to figure out how to navigate the board and finish with three stars. This game does not give you that option. There is a choice of very difficult or no timer. There is no in between. Like Gnome Gardens this is basically a flat map you play on. I wish this game and the other Gnome Gardens had a better landscape to play on. Come on developers use a little creativity. If you decide to buy I suggest you wait for the SE version as I see nothing here to justify the price of a Collectors Edition. There is not even a Strategy Guide. There are 20 Achievement Trophies to earn but I am guessing those will be available in the SE version. Therefore for me this is a no buy but try the demo and decide for your self.